Control your Varia cycling awareness products without removing your hands from the handlebar. 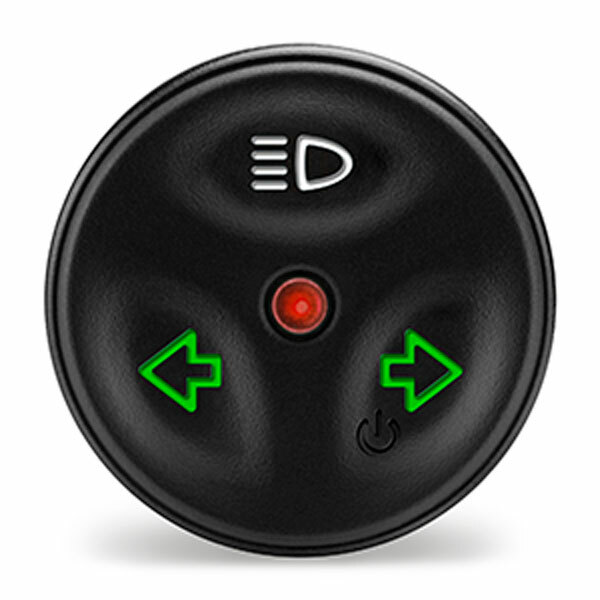 The 3-button remote controls brightness as well as pattern, intesity and beam focus (high-/low-beam) and turn signals (requires 2 tail lights). It also controls the on/off function.